Giuka's platform ballet flats are destined to become a core part of your summer wardrobe. 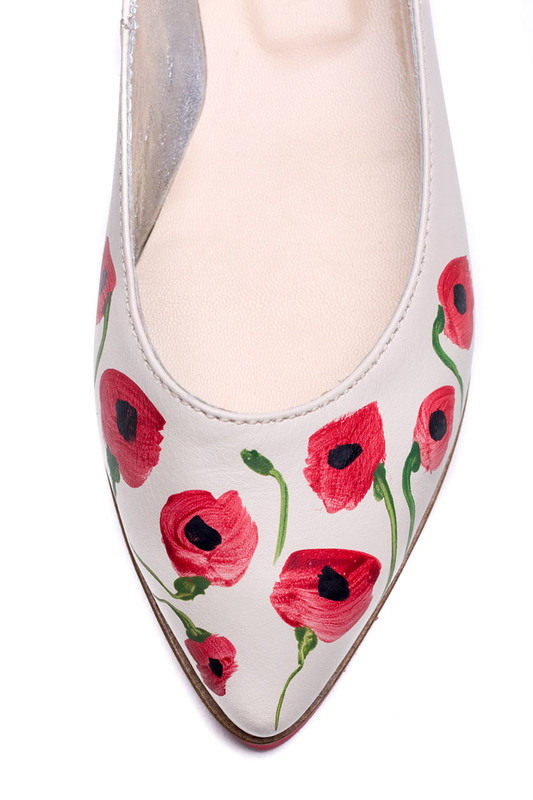 Expertly crafted from cream leather, this pair is hand painted with poppies and set on a featherweight red flatform soles. Wear them with everything from cropped denim to sundresses.